There are affiliate links within this article. Everything linked in this article has been purchased and tested by us. I only link to items we would personally recommend. If you are like me when you camp, you bring a lot of stuff because hey, you never know what you will need! Well, with backpacking you have to think differently. You don’t want to have to lug things you won’t need so do a full evaluation of your items before you pack them. Instead of packing bulky items that you’ll only wear once, pack thinner items you can layer and re-wear. You probably only need 1-2 pair of jeans, 1-2 long sleeves, a flannel, a pair of shorts and a couple tees. You can easily re-wear things like jeans, flannels, and long sleeve Ts. Since you are out in the wild, no one will know except you! Do your research before you head out into the wilderness. 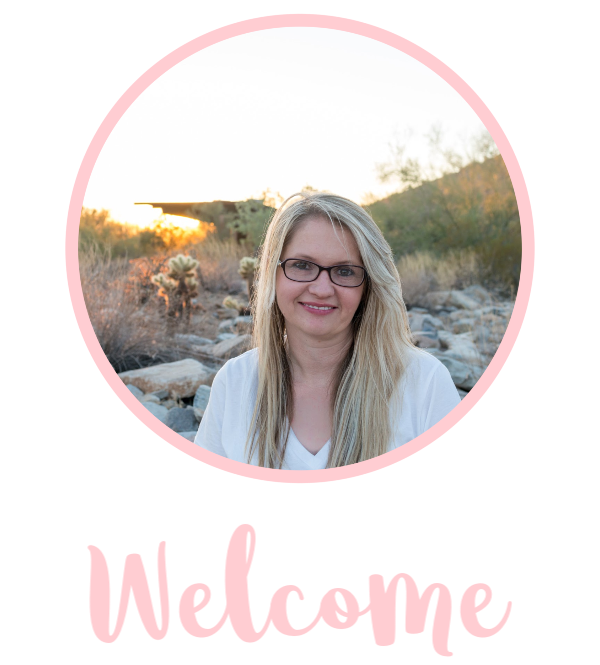 Look for books, online forums and ask people about the areas you want to visit. Tell someone where you are going before you go anywhere. My favorite motto is, “it’s better to be safe than sorry”. We always tell a family member where we are heading before we go and we let them know how long we’ll be gone. If they don’t hear from us, they know that something may be wrong and if that’s the case, we’re hoping they will send help ASAP. 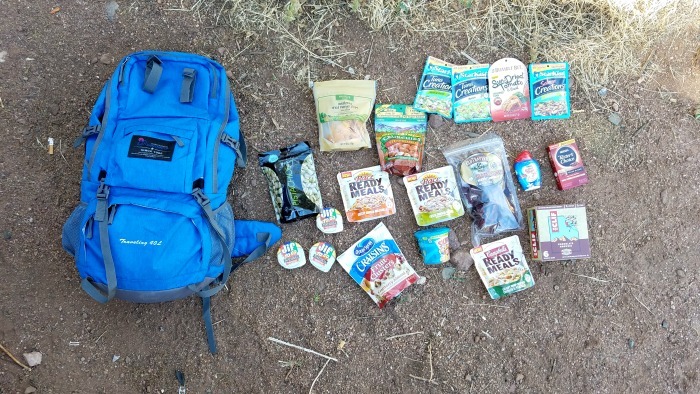 Be sure that you pack everything in your pack so that it doesn’t weigh heavy on one end and ensure you are using every inch of your pack that you can. Try to roll your clothes so that it takes up a little less room. A comfortable pack is probably one of the most important things you’ll need on your adventure. You’ll want to make sure it fits all of your items comfortably and that it fits nicely on your pack. Look for packs that have multiple pouches, zippers, straps and buckling harnasses. We have two – this one and this one. This one is our favorite, it has lots of room. The great thing is, both of these were less than $50 on Amazon! 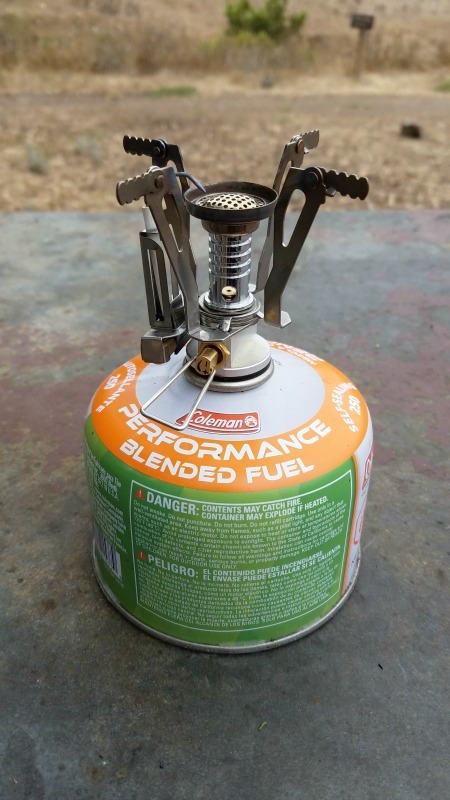 This camping stove is portable and it works well! The fact that this one fits into a square box makes traveling very easy. The fuel is also small and portable. They do make this one that takes wood instead of fuel. In fact, we just purchased this wood burning portable stove. You can’t keep moving if your feet are full of blisters or your shoes fall apart. 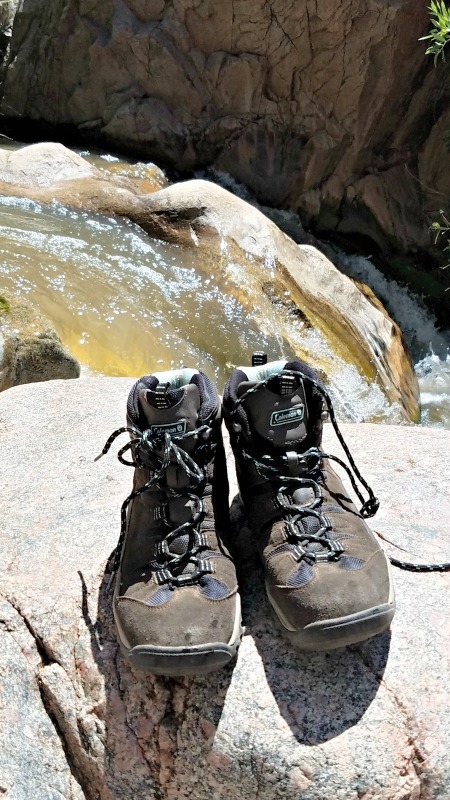 I have these Coleman boots that I waterproofed myself and they are great. Best news? They cost me $5 at the swap meet in almost new condition. 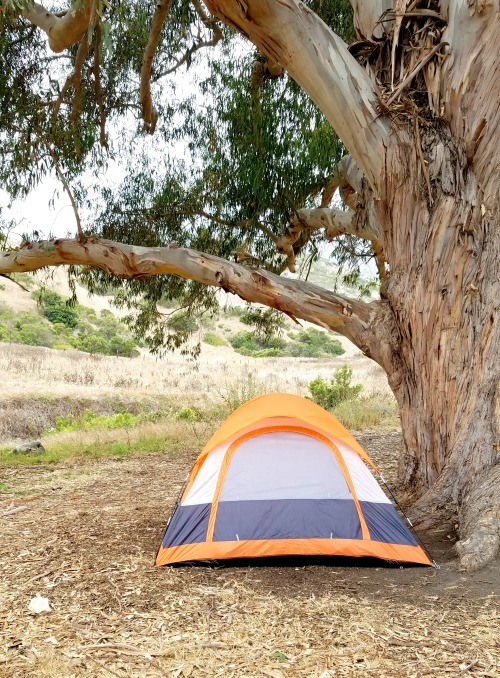 When you go backpacking, a large portion of your pack space is your shelter. It took some research but I found this 2-3 person tent on Amazon for less than $50. It held up well in the cold and moisture on the Channel Islands. When 1/3 of your day is dedicated to sleeping, you’ll want to make sure you are comfortable. Sleepings bags are graded by weather, be sure to bring a sleeping back that accommodates the weather to where you are traveling to. Be sure to get a compact one that will fit in or on your pack. Sleeping pads are what is between you and the ground. I actually learned a hard lesson, cheaper pads are not good for bad backs! What bout bring for food really depends on how much you want to carry. When we went to the islands, we did dry food. One of the best tips we heard about as far as food and backpacking is to try the food before you go. If you don’t like it, don’t bring it. 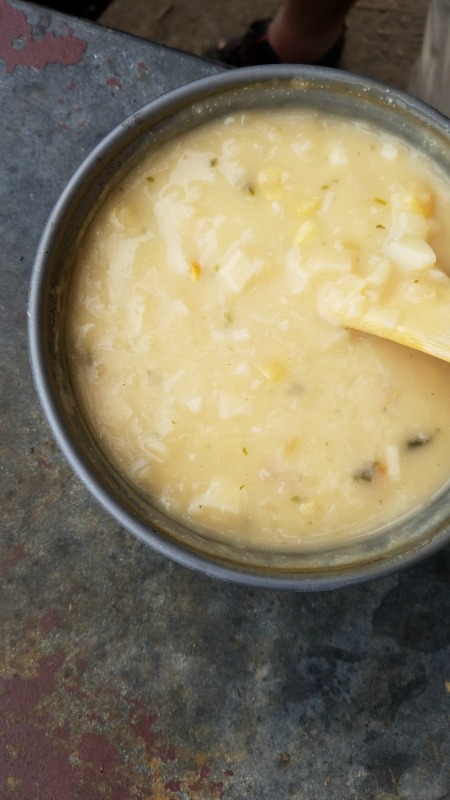 This will help you avoid being hungry because there are items you didn’t want to eat. An outdoor hat is a great way to keep the sun off your face and to keep you a little cooler! As much as I love disconnecting from technology, I still like to have my phone nearby for photos. 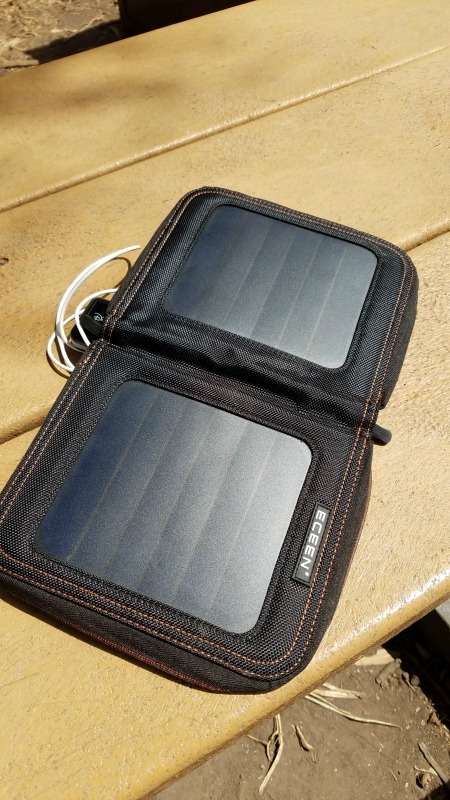 This solar charger was perfect for our trip to the islands. It worked with cloud coverage too! 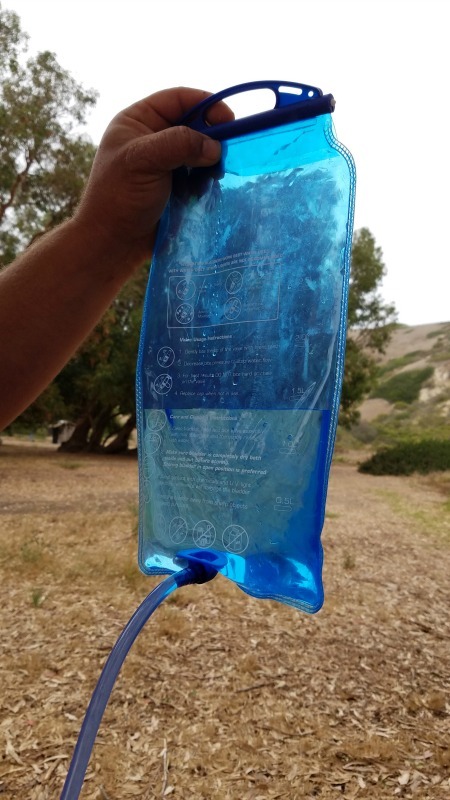 Instead of carrying uncomfortable plastic containers, we put our water in water bladders. We both had bladder packs and extra for cooking. These fit nicely in the backpacks! Mess kits fit nicely in packs though some vary in size. We love this one from Amazon for less than $20. 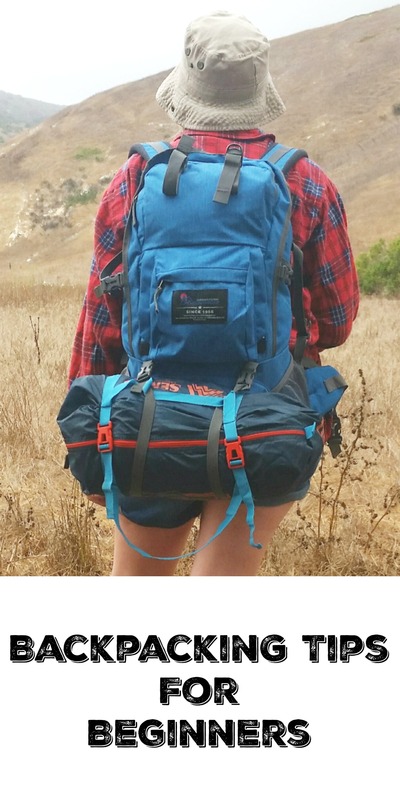 You shouldn’t be afraid to take on the adventure of backpacking! If you have a favorite tip, please share it below!